Discussion in 'TV Central' started by Mel O'Drama, Apr 15, 2019. Girls On Top, without question. "And now, from Norwich... it's the quiz of the week." LWT - Russ Abbot, Game for a Laugh, Cannon & Ball, Surprise Surprise, Blind Date, Live from the Palladium. LWT was an incredible tv factory in the seventies and eighties producing hit show after hit show. Yes, LWT brings back great memories of Dempsey and Makepeace. Central - what else but Jim Bowen and Bullseye? 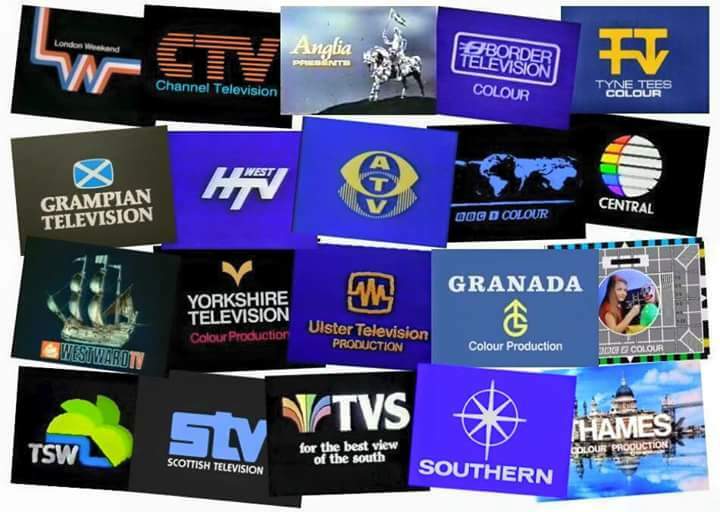 UTV - UTV was our ITV region. While most of their homegrown productions were news or lifestyle programmes, I do associate lots with their idents. UTV Live, Julian the onscreen continuity legend, security alerts being announced in ad breaks during the Troubles, very basic ads for local businesses including "it's a big shopping centre in Ballymena hey", that haunting " Cats In The Cradle" ad encouraging people to report suspected paramilitary activity in the 90's. Central and Southern I'd now associate with Crossroads and Together but that's only from watching them on YouTube rather than when they originally aired.